Age 62, of Holland, NY and formerly of the City of Tonawanda, unexpectedly September 7, 2018, at his residence. Husband of 37 years of Nancy A. (nee Stehle) Nicholas; father of Sara (Nicholas) Hamp and Robert A. (Cara Eagan) Nicholas; grandfather of Jameson Hamp and Angelo Nicholas; son of the late Angelo and Bernadine Nicholas; brother of Peggy (Chuck) Annunziato, Gerald (Mary), twin brother William (Jody), Thomas (Diane) and Joseph (Michelle) Nicholas and Susan (John) Kowalewski; also survived by many nieces, nephews and cousins. Robert was a 1975 graduate of Tonawanda High School where he was an outstanding football player. He was a retired employee of GM Powertrain. “Hog” was a die hard Red Sox fan. 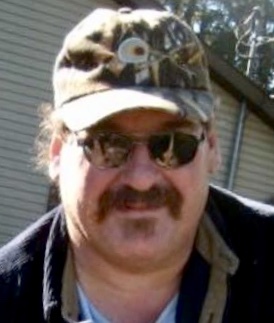 He also loved deer hunting, fishing, cooking and spending time with his family and friends. Calling hours will be on Tuesday (September 11th) from 4-8 PM at JOHN O. ROTH FUNERAL HOME, INC., 25 William St. (between Morgan & Broad Sts.) in Tonawanda. A Mass of Christian Burial will be celebrated at 10 AM Wednesday (September 12th) in St. Francis of Assisi Church, 150 Broad St., in Tonawanda. Everyone welcome. Please assemble at the church. In lieu of flowers, memorial contributions are preferred to Feral Cat Focus of WNY, PO Box 404, East Aurora, NY 14052 or to The Boys & Girls Club of Holland, 79 Vermont St., Holland, NY 14080.